Bringing a child into your home through adoption will be one of the biggest decisions you will make in your adult life. For most of us, this will not only be one of the biggest, but one of the most rewarding decisions of our lives. If you are already parenting and are considering growing your family through adoption, however, there are some unique factors to weigh and some questions you may not have asked yourself when you first became a parent. Below we’ll address common questions and concerns parents face as they make this decision. What Will Change If I Adopt Again? To start, consider some of the key areas of your life that would be impacted by the addition of a child to your family. These are factors all families consider, regardless of how they build their family, but adoption can add another layer of complexity to this decision. Time — Time will play into your decision to adopt in many ways. Consider how much time it will take to complete the adoption and think of this in the context of your age and the age of other children in your home. Also consider the amount and quality of time you’ll need to help an adopted child transition into your family. This will depend on a range of factors, including the age of the child and the children already in your home, the child’s particular needs and behaviors, and all the characteristics that make each of your children unique. Finances — The financial implications of growing your family are another concrete aspect to consider. For some, these will be quite significant. In addition to the cost of completing an adoption, consider ongoing expenses. These include your basic needs—food, clothing, medical expenses, education—as well as the amount of money you need to have fun together. If you are considering adopting a child with identified special needs, what are the costs for speech therapy, occupational therapy, or other services to address his or her physical and emotional health? It can be helpful to get practical about this and draw up a budget to plan for short- and long-term financial needs. There are financial resources available to adoptive families to offset adoption expenses, including the federal adoption tax credit, grants, loans, and fundraising. Supports — You’re going to need different types of support—both emotional and practical. Practical support includes things like carpooling and child care. For emotional support, parents often turn to friends and family. Ask yourself: Who can we call late at night when we need somebody to talk to? Who do we have in our lives to cheer us on and help us to celebrate the good stuff? It will also be important to have supports specific to your family’s composition. This may include expanding your community to find other families that look like yours or that have similar stories—for example, joining a playgroup with other adoptive families or parents who are raising a child of a different race. These kinds of supports are important not just for you, as the parent, but critical for children in your family. Health — This is an important factor to keep in mind whenever you’re thinking about taking on more responsibility. 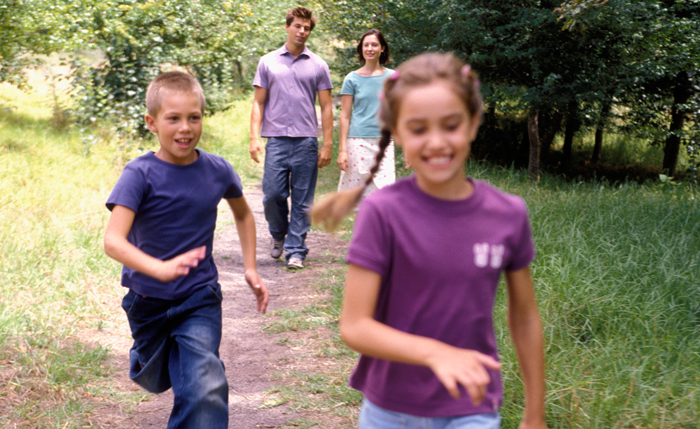 Consider your physical and emotional health, as well as the health of the other children and adults in your family. In addition, consider the health of the child you are adopting and the medical and emotional health resources available within your community. Home — Adoptive families live in urban, rural, and suburban neighborhoods. As families consider adopting, housing is often part of an early discussion because it is so practical—where will the child sleep and play after he or she joins your family? Talk through the following questions: Do you have enough space for your family to grow in your current home? What is your neighborhood like—does it reflect the racial makeup of the family you're creating? Is the school working for the children you’re currently parenting, and will it be supportive of the child you're thinking about adopting in terms of race, learning styles, and the school’s culture? If the answer to one or more of these questions is no, what adjustments can you make? Commitments — I encourage you to identify your current commitments and responsibilities across all areas of your life, including your community, your family, and your career. What kind of flexibility do you have in these responsibilities? In other words, how much room can you make for new people with new needs in your life? Some of us feel our kids are overscheduled; sometimes that happens to parents, as well. It may be necessary to reorganize your schedule to find time to spend with your new little one! Values — The adoption process gives you the opportunity to be very intentional in your parenting. As you make your decision, consider your parenting philosophy or style and embrace the opportunity to reflect on your values during the home study process. Think about how those values might inform your decision to adopt and the characteristics of the children you're open to parenting. Joy — Finally, what brings you joy? What do you imagine your life will be like 10 or 20 years from now: Are you working? Are you retired? Are you traveling? Are you going to back-to-school night? In what ways are you spending time with your family? Consider how parenting—intensive, full-on parenting—for the next few decades dovetails with how you imagine your future and make sure there’s room for joy. What’s Driving Me to Adopt Another Child? Now, let’s think about some of the reasons why you are considering adoption. There are so many factors that can motivate people to parent again. Many of them overlap with one another, some of them are very clear and you may feel strongly about them. Other motivating factors may be harder to put words around. Imagine that all of the reasons you wrote down get a seat in a car. Some reasons get to be in the driver’s seat because they are primary. Other reasons are in the front seat of that car or the back seat, or the trunk. Still others may not get a space in the car at all. Let's start with some of the reasons that, from my experience, belong in that front seat of the car. > You have a strong desire to parent another child. You want this role regardless of how a child comes into your life. Your family may not feel complete and you're not done parenting. You want to know yourself as a mom or as a dad again. With that, you are also open to all the other relationships that can come with this child. Remember, when you adopt, your child has a history. That child has people who are connected to him or her: for instance, birth family, foster family, biological siblings. > You feel you're pretty good at this. You have experience parenting and it’s something that you feel confident about. It doesn't mean that you think you’re perfect, that you don't make mistakes, or you don't struggle at times, but when those challenges come to you, you feel hopeful. You feel it's OK that life can get a little complicated or messy and you feel good about working through those challenges. > You are OK with or even seek change. You want your life and the lives of the children you're parenting right now to change. Here’s a visual I love to use for this: Imagine a puzzle. All the pieces fit together neatly and the picture is clear. This is your life right now. You feel comfortable taking that puzzle and throwing it up in the air. Those pieces are not going to land in the same place, but you are excited to see where they will land. The new puzzle is going to look different, and it may take some time for it to come together, but you’re prepared and excited for that. Of course, there are many other reasons that bring families to this decision. These might fit in different seats in the car for different families. > Your child wants a sibling. I’ve worked with many parents who feel that their family is complete on many levels, but they have a child who keeps asking for a sibling. This is really hard for parents, because we never want to feel as if we are letting our children down. For many who have experienced infertility, these requests can trigger a new wave of sadness or longing. If parenting an only child, we may want our child to have a sibling relationship. And if your child keeps asking for a brother or sister, this can help you to realize that you have a strong desire as an adult to parent again through adoption. As an adult, you know there is no guarantee that a sibling will fulfill the fantasy of your child, or that your child may change his or her mind about how much he or she wanted a sibling. As a reminder, if you don’t believe that your child has the judgment to pick out his or her clothes, decide what the family eats, or can use the stove, then he or she shouldn’t be driving the adoption process. > You want a second child to share the adoptive status or race of your first child. It is important for children to have connections to other people of their race or who know what it feels like to be an adopted person. If you don't share either of those experiences with your child, a desire to provide that kind of connection within the family causes many parents to consider a second adoption. But raising another child should be something you yourself want completely; if you don’t feel this way, know that there are other ways to help your first child form connections around race or adoption. You can join mentorship programs, adoption support groups, or find social or community events. You can do that by intentionally developing your community and your close circle. > You want to “make a difference” for a “child in need.” This one is hard to talk about, but important to raise. There are many children waiting for families in foster care in the United States or in orphanages or foster homes abroad. I encourage you to explore this piece of the conversation carefully because the need should go both ways—while the child needs a permanent family, you should also feel a need to be a parent. > You believe another child will heal a rift in your marriage or partnership. Children can bring a kind of love and fullness into our lives that feels unlike any other relationship. Because of this, it makes sense that some might think that a child could help them through an ailing relationship or difficult time, but it isn't fair to burden a little person with fixing these kinds of grownup problems. If you start feeling this way, take time to work this through. Then revisit your motivation and decide if you’re truly excited to parent again. If so, go for it! I hope this exercise is a helpful guide to think through the ways another child might change your family’s current dynamic and help you prioritize your reasons for adopting. As you reflect on this decision know that there are lots of resources (books, blogs, and professionals) that can be helpful. Remember that this is ultimately a personal decision—take the time you need to make the best choice for you and your family. BETH FRIEDBERG, LCSW, is Associate Director at Spence-Chapin’s Modern Family Center. Friedberg is a licensed clinical social worker with 20 years of experience working with adoptive families at all points of an adoption journey. ON THE COVER: Victoria (center; 10, Russia) Amelia, and Frances (both 5; U.S. foster), daughters of Josh and Cara, Indiana. Photograph by Gabrielle Cheikh. Parents who confidently dove into the unknown for their first ..
You've decided you're ready to grow your family — again. .. If you're considering adoption and hearing falsehoods for family and ..